Honeymoon tour in Nepal is popular for the spouse who engaged and looking for marvelous destination. Nepal Honeymoon tour offer eye catching Himalayan views, beautiful landscape , multi cultural sites. Nepal honeymoon package trip explore the natural beauties, unforgettable moments with Nepal wildlife and floral forests, razing rivers. 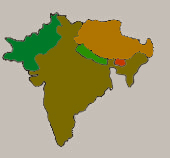 We Apex Nepal Adventure Pvt. Ltd arrange Nepal honeymoon tour around Kathmandu valley, Nagarkot Dhulikhel , Chitwan Lumbini, Lumbini pokhara and short trekking in Nepal Himalaya too. Nepal has a various option for honeymoon packages among them Nagarkot Dhulikhel honeymoon tour, Chitwan honeymoon tour, Lumbini Pokhara honeymoon tour, Annapurna Ghorepani honeymoon tour, Everest view honeymoon trip, Langtang valley honeymoon trip are most popular honeymoon package in Nepal but we Apex Nepal adventure Pvt. 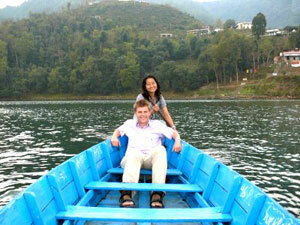 Ltd arrange customized Nepal honeymoon package trip as per traveler’s demand and holiday frame. Nepal honeymoon tour required minimum one week holidays for your maximum enjoyment and memorable in every corner of Nepal. we have designed Nepal Honeymoon trip package in below mentioned but Nepal Honeymoon tour package may change / extend as per spouse wish and time frame. We take Trekking in Nepal Himalaya for honeymoon couple till maximum 4000m which honeymoon couple easily reach without any difficult hiking. We Apex Nepal Adventure arrange adventure honeymoon package trip in Himalaya where the couples enjoy much and feel comfortable ! Arrival in kathmandu, Himalaya Journey Treks & Expedition airport representative will transfer to hotel, Nepal honeymoon tour briefing with officially arrangements. Overnight at hotel.